So how can you maximize your online connections on Facebook, LinkedIn, Twitter and YouTube to build your business? Here are some tips to help you get started. Facebook provides countless opportunities for connecting with others online. I’ve met some fantastic people through this network, including those who have become my coaching clients. Obviously, you’ll gain the most value by being a regular and active participant. It’s all about being social and sharing. Join groups and add to the conversation. Answer questions, ask questions and be supportive of the successes of others. Consider starting your own group where you can invite Facebook friends and colleagues with similar interests. It’s a great way to share information, help each other out and connect with like-minded individuals. Always add value. Post your articles, quote graphics, links to valuable resources and other materials from which members can benefit. This is great for list building as well as for becoming a recognized authority in your area of expertise. LinkedIn is one of my favorite social sites and tends to have more professionals in its membership than others. This was the first site I joined many years ago as my background and experience is in the corporate arena (finance professional in the tech industry). It provides a lot more information about your contacts in the context of their business background which is something I value as a business consultant. Create a stellar LinkedIn profile and include links to slides, videos and other project collateral that showcase your expertise. Find and join LinkedIn Groups that focus on areas of interest and which include your ideal clients in their membership. Share relevant industry news, tips and techniques which are sure to elevate you as a subject matter expert. Connect individually with others and let them know how you can add value to their business. Introduce yourself, share a little about what you know, and then provide them with something that they can use right now to benefit them in their career or business. When others post articles and status updates, comment on them, click “like” and share them with our own network. Write and post your own articles on LinkedIn. If people leave comments, be sure to interact and further the conversation. It’s all about connecting and sharing! Use Hootsuite or Buffer to make writing and posting easier. Pre-schedule tweets days, weeks or even months in advance. Share news, tips, links to books and courses and anything relevant to your target audience. Publish a mix of business and personal updates to keep things fun and interesting. Retweet (RT) material posted by others to show your support and add value to your own followers. Comment on tweets you enjoy. Call out by name (twitter handle) others who are providing value to you. For example, I love to post tweets whenever I receive outstanding customer service. I include the company twitter handle and the name of the service agent. Do you want to tell your story faster, easier and with more impact? Creating a visual story through video is the way to go! Outside of meeting someone face-to-face, video is the next best way to connect with others in a deep and meaningful way. Create a talking head video, that is, one with you talking directly into the camera. If you’re camera shy, create a video of a slide presentation, complete with music accompaniment. If you have advanced skills, consider drafting a fun explainer video with animation and special effects. Interview customers or clients. Testimonials are a great way to build credibility quickly. Showcase your office or working environment. Demo your products or talk about your services! Make sure to select the social media channels that resonate with you and where you’re likely to connect with your target audience. 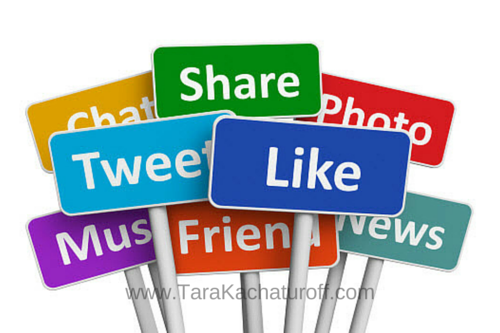 As with anything, before you dive into social media, be clear about your business goals and objectives. You don’t want to create and publish content without a solid plan of action. A content management system will help keep you focused, on track and following a regular publishing schedule. 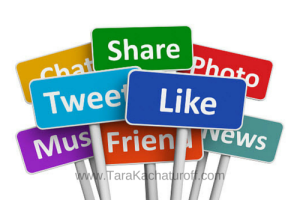 Regular participation and sharing of content are key to your success! Want to talk about your content management strategy? I offer coaching services that can help you get started! Let’s chat!